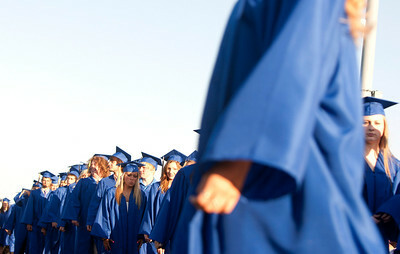 Michelle LaVigne/ For Shaw Media Valedictorian Ian (behind,) and Salutorian Sean Nykaza wait to receive their diplomas during the Johnsburg High School graduation ceremony in Johnsburg on May 30, 2104. 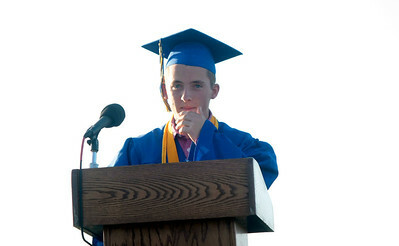 This was the first time in Johnsburg School history that twins were both the Valedictorian and Solitarian. Michelle LaVigne/ For Shaw Media Kelly Ackerman listens to speeches prior to receiving her diploma during the Johnsburg High School graduation ceremony in Johnsburg on May 30, 2104. 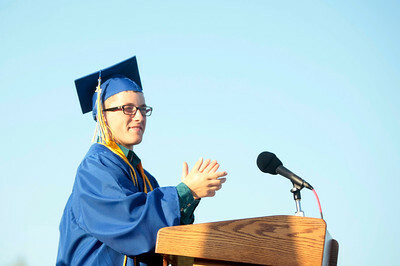 Michelle LaVigne/ For Shaw Media Zachary Melton gives a wave to his classmates as he walks to receive his diploma during the Johnsburg High School graduation ceremony in Johnsburg on May 30, 2104. 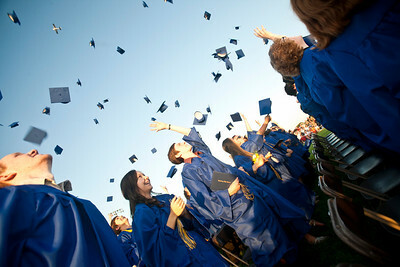 Michelle LaVigne/ For Shaw Media The final two graduates, Erich Zawacki and Alyssa Zigante, wait to receive their diplomas during the Johnsburg High School graduation ceremony in Johnsburg on May 30, 2104. Michelle LaVigne/ For Shaw Media Morgan Diedrich and Dyaln Dingman (middle) join their classmates in celebrating their graduation after the the Johnsburg High School graduation ceremony in Johnsburg on May 30, 2104. Michelle LaVigne/ For Shaw Media Johnsburg High School principal asks graduating senior Kaitlin Freund "Who's going to give me flack int he hallway now?" after she finished receiving her diploma during the Johnsburg High School graduation ceremony in Johnsburg on May 30, 2104. 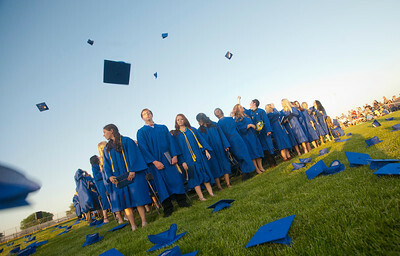 Michelle LaVigne/ For Shaw Media The graduating class of 2014 wait to be dismissed after the Johnsburg High School graduation ceremony in Johnsburg on May 30, 2104. 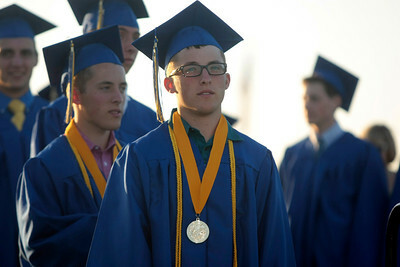 Valedictorian Ian (behind,) and Salutorian Sean Nykaza wait to receive their diplomas during the Johnsburg High School graduation ceremony in Johnsburg on May 30, 2104. 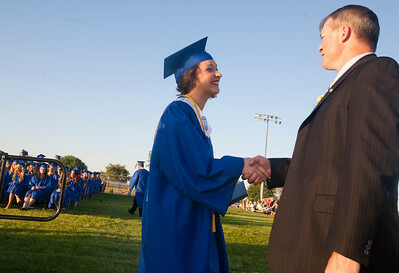 This was the first time in Johnsburg School history that twins were both the Valedictorian and Solitarian.